Education | Campaign for Australian Aid How does Australian aid create education opportunities? What has Australian aid done for Education? Learning to read and write is a basic and fundamental human right of every child, and lays the foundation for future learning. Child-friendly learning spaces are vital, so children are excited to come to school and have access to all the resources they need. Education is the most powerful tool we have to lift communities out of poverty – it means better jobs, higher incomes, and more opportunities. The Easy2Learn program has established reading benchmarks for primary students, and prioritises the development child-friendly education methods, to replace the traditional, rote-style learning. Building new libraries, undertaking teacher training and providing new and innovative educational materials is a cornerstone of the project. 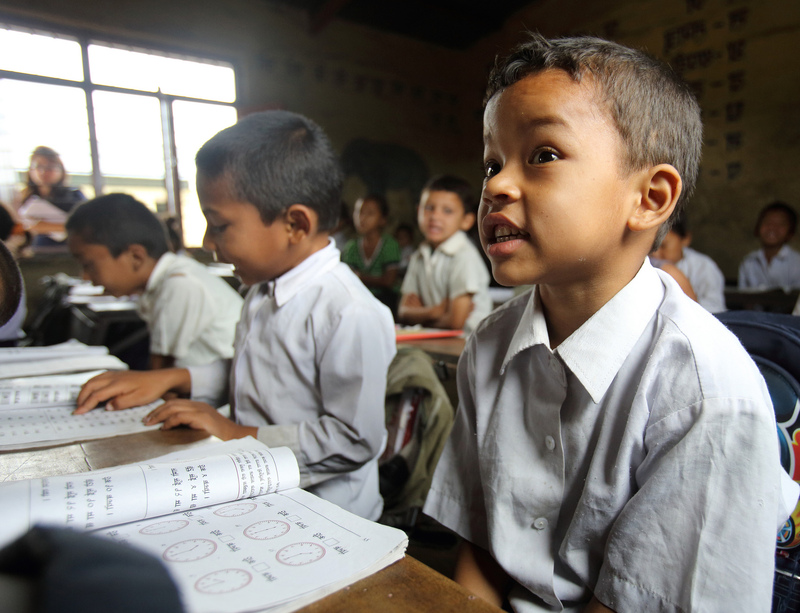 Australian aid has provided more than 4.5 million new textbooks to kids in Cambodia. Australian aid has given nearly 1.4 million children in Cambodia, the chance to go to school.